For as little as $2 you can make and deliver a meal directly to the homes of hungry children. You can change not just meal times, but life times by donating to Kids’ Meals. 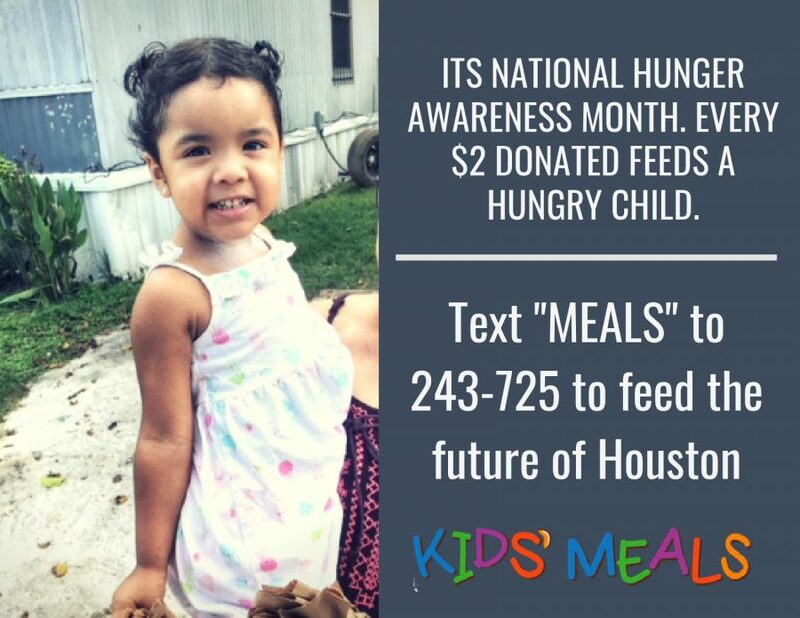 Please spread the word- we need to deliver 55,000 meals this month to Houston’s hungriest children under age 6. We can’t do it without you!